I've been reviewing Chris's photos, and I've been studying the templates, trying to figure out where I want to add some tabs in there. 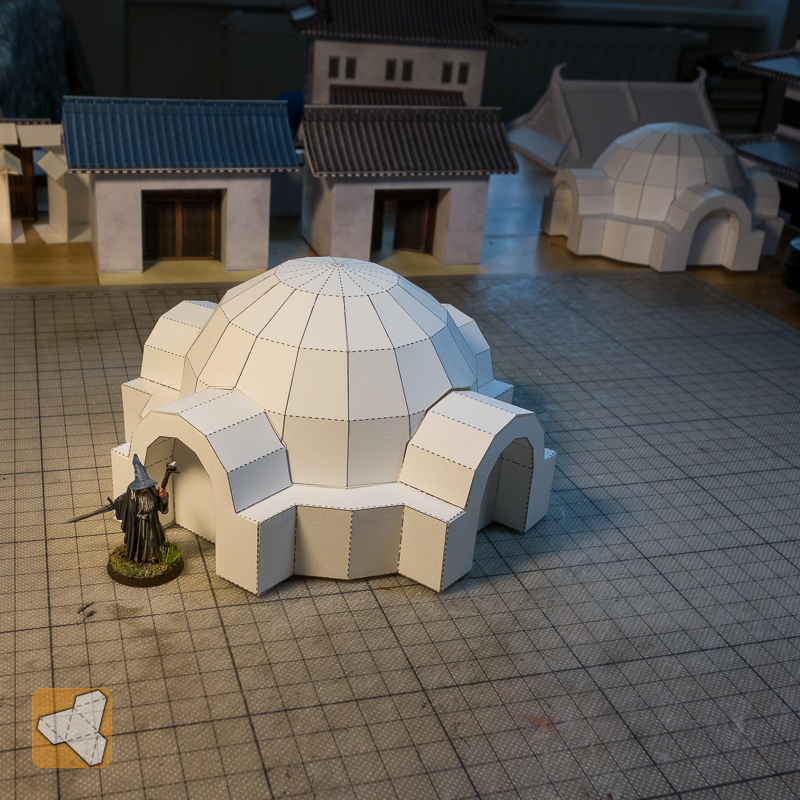 I was really thinking of this as a test build, but now that I've gotten it textured to my liking, I'm wishing I would have done Join Strips instead of Tabs on the dome and printed on stouter paper. I'm just going to do the exterior on this one, but here's where I'm at. Yes, there are probably some unnecessary tabs, but I'd rather be secure than wobbly. Hey! PostImage is back to working! After the dome, started doing the wall units, one at a time, until I got to the last one. On the last one, I didn't do it as a unit, but built it on the building. Chris has this set up to do Exterior Only, or to have the optional interior.